The second of two homes listed by Coldwell Banker Dominical Costa Rica located in Uvita along the central pacific coast line. 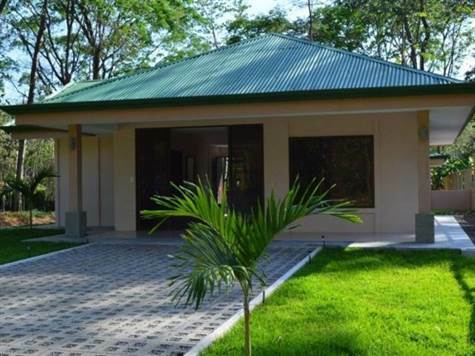 Known for its amazing jungles and beaches this newly built home is perfect for the turn beach going individual. Welcome to Casa Ballena! Amenities abound two bedrooms, grass yard bordering jungle, two bathrooms, dinning room, and outside sitting area. The outdoor ambiance is a of a small community feeling with lush landscaping. The home is a perfect fit for a second home buyer in Costa Rica looking for easy access to stores and beaches.